Gorgeous Home with Craftsman Style Hints and Brick / Stone Veneer with Custom Wood Accents in Wonderful Tyler Neighborhood Close to UT Tyler, TJC and the Midtown Revitalization District. Home features Sprinkler System, and Pre-Wired for Alarm System. 6Ft Privacy Fence and Over-sized Covered Porch & Patio. Vinyl Low-E Windows and Craftsman Style Entry Door provide ample Natural Light. Open Kitchen with Custom Cabinets. Laundry Closet with Hanging Rod. Dining / Breakfast Area and Raised Bar with Pendant Lighting, Stainless Steel Appliances and Granite Counter Tops. Large Living / Family Room with Crown Molding, 9FT. Ceilings Throughout the Home. Mud Area off of Garage / Living area and a Master Suite with Crown Molding and Large Windows. Master Bath with Tub / Shower Combo, and Walk-In Closet with Built-In Shoe Shelves and & Storage. 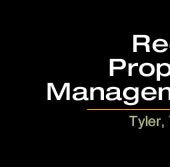 Owner is a Licensed Real Estate Salesperson in the State of Texas and is Representing Himself. Gorgeous New Home with French Country Design in Established S. Tyler Neighborhood with Mature Trees and Close to Recreation, Dining, and Shopping. Home Features a Grand Entrance with Double Arched Mahogany Doors, and Stained Wood Ceiling. The Living Room Features a Brick and Stone Fireplace, 13 Ft. Coffered Celings and Hardwood Flooring. The Kitchen Features Custom Cabinets, Granite, Pendant Lighting, and Stainless Appliances. Enjoy Dining in the Formal or Breakfast Areas with Custom Trim Accents. The Master Suite Offers Ample Natural Light, Boxed Ceiling, and Crown. The Master Bath Boasts Travertine Flooring and Shower, Marble Tub, and His / Hers Closets. The Master Wing also includes a Powder Bath, Mud Bench, and Separate Utility Room. The Office could be used as a 4th Bedroom. The Patio is Large for Enjoying the Oversized Back Yard. Home also Includes a Sprinkler System, Pre-Wired for Alarm, Landscape Lighting, 6 Ft. Fence, Low-E Windows, and a Side Entry Garage with Addl. Parking. Another Gorgeous and Quality Home Built by Reed Property Management in Wonderful Tyler Neighborhood Close to UT Tyler, TJC, Shopping, Dining and the Midtown Revitalization District. Open Kitchen with Custom Cabinets, Granite Countertops, Stainless Appliance and Pendant Lighting. Large Living / Family Room With Vinyl Wood Plank Flooring and Over-sized Covered Patio. Separate Dining Room or Could be Used as Office or Possible 4th Bedroom. Master Suite with Crown Molding and Large Windows that Provide Ample Natural Light. Master Bath with Tub / Shower Combo, Granite Vanity and Large Walk-In Closet with Built In Shelves and Entrance to the Laundry Room. Home Features Sprinkler System, 8Ft Privacy Fence on the Backside, Tapered Down to 6ft on the Sides and Vinyl Low-E Windows. Owner is a Licensed Real Estate Sales Person in the State of Texas.